"Here Comes the Snow" is an innovative outdoor light installation taking place in New York City during the first snowfall of the season. 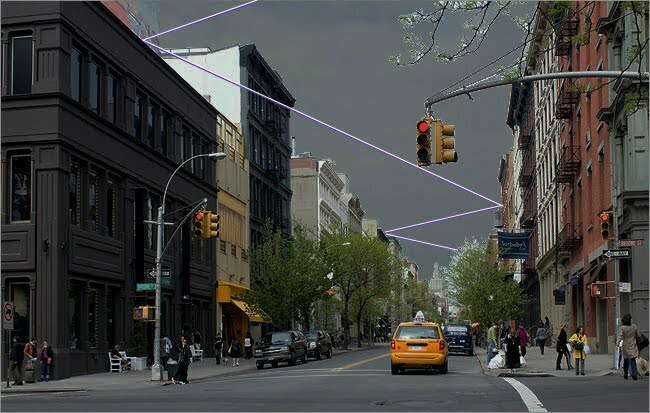 Mirrors will reflect a single high-powered laser beam from the tops of five land-marked SoHo buildings along West Broadway from Canal to Houston Street. Descending snowflakes will illuminate as they fall upon the beam, which will create a mesmerizing sparkling effect for all to see.